On the surface, this appeared to be a pretty anticlimactic conclusion to this fairly laid back series, but I just loved how everything came full circle when Masa offered Yaichi a skewer of dangos at the very end. Continue Reading "Sarai-ya Goyou – 12 (END)"
Durarara may have just concluded, but Souji’s revelation of Yaichi’s past with the Bakuro gang had me more shocked and on the edge of my seat than that finale. The reason being that the Yaichi we know now is nothing like the Seinoshin of the past. Continue Reading "Sarai-ya Goyou – 11"
The revelation came an episode sooner than I was expecting, but it looks like my hunch about Yaichi being Seinoshin ever since episode three proved to be true. I just love it when it paying attention to the subtleties in a series makes it so much more enjoyable to watch. Continue Reading "Sarai-ya Goyou – 10"
After deciding to save Matsu on his own last time and making good on it here, Masa has all of a sudden become a samurai beaming with confidence. However, the one thing that everyone can probably live without is his tendency to say whatever’s on his mind, especially now that they’ve learned Yagi is the chief of the local Kitamachi police. Continue Reading "Sarai-ya Goyou – 09"
A rivalry between candle businesses that gets ugly. It may not sound like much, but when Matsu gets caught trying to steal back some some wooden passes that the Kiku-ya store owner needs to do business, the House of the Five Leaves doesn’t sit idly. Of all people, Masa takes the initiative. Continue Reading "Sarai-ya Goyou – 08"
I can’t say I’m too surprised that Yaichi has a past with another gang, but I am curious as to whether or not this Bakuro group lead by Kuhei has any relation to the guys that kidnapped Seinoshin and faked his death. Continue Reading "Sarai-ya Goyou – 07"
Picking up on the Ume’s backstory from last time, things fast-forward to the present where Senkichi is still being extorted for money by his ex-gang member Denshichi (Imaruoka Atsushi). Continue Reading "Sarai-ya Goyou – 06"
I don’t know if it’s just the subtle way this series shifts between the present and flashbacks or if I’m just used to it being more obvious, but those transitions are evidently a key part of the screenplay that I should be taking better notice of. Continue Reading "Sarai-ya Goyou – 05"
Due to the emphasis on character interactions in lieu of action in this series, I’m not surprised by the lack of discussion it’s generating; however, I personally enjoy watching Masa slowly unravel the mystery behind Yaichi’s past. Continue Reading "Sarai-ya Goyou – 04"
As Masa slowly gets dragged into the ways of the House of Five Leaves, a lot of Yaichi’s backstory is starting to flesh out and looking like it’ll explain how he got into this kidnapping “business” in the first place. 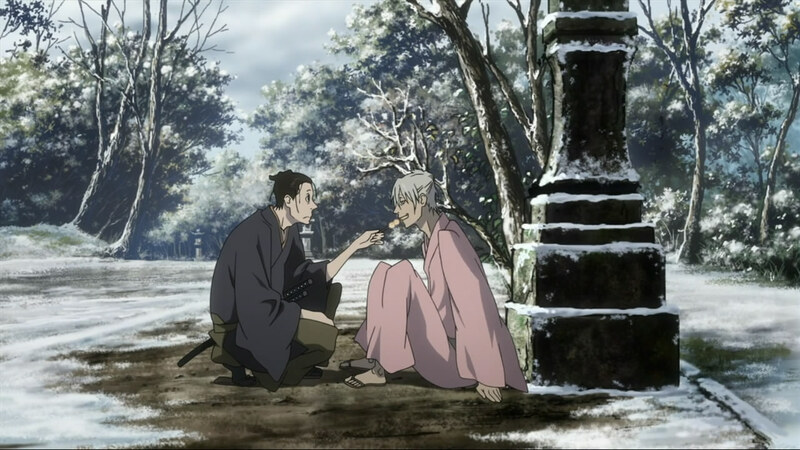 Continue Reading "Sarai-ya Goyou – 03"
Keeping with the same mellow and laid-back pace, this second episode of House of Five Leaves follows Masanosuke as he gets more involved with the rest of Yaichi’s group. Continue Reading "Sarai-ya Goyou – 02"
Manglobe studio and samurai. 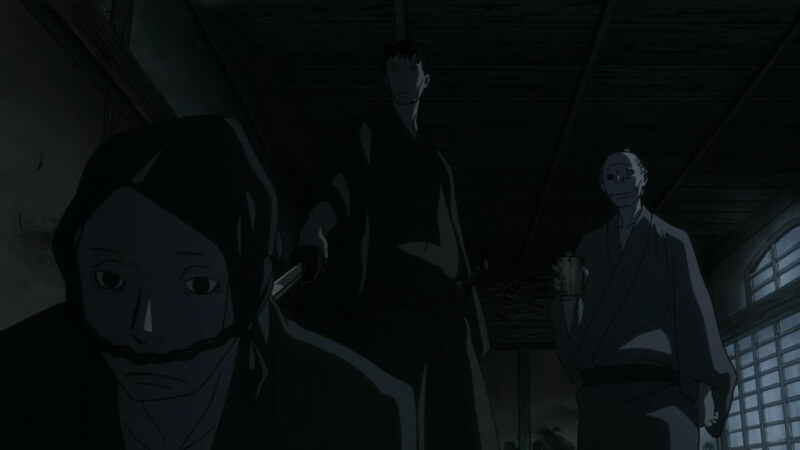 It’s not the same hip-hop style as Samurai Champloo, but Sarai-ya Goyou, a.k.a. 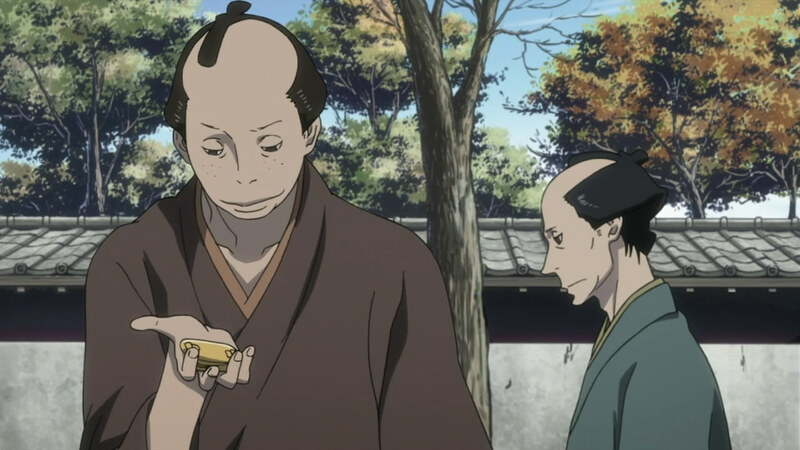 “House of Five Leaves”, takes a seinen spin on the Edo period in noitaminA‘s newly expanded time slot. Continue Reading "Sarai-ya Goyou – 01"